Gamma & Bross manufactures a wide range of unique Furniture and Equipment for Beauty Salons and Spas. 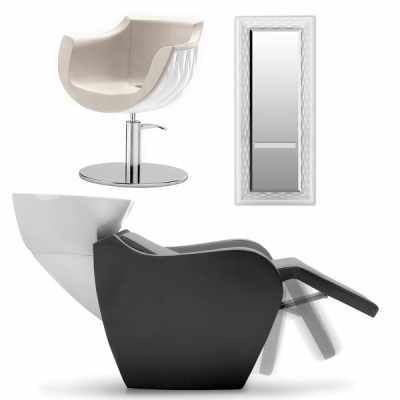 Our Salon Furniture Packages are a great way of saving when purchasing salon equipment and furniture for your beauty salon: items are selected among our best sellers and considering the large quantities in production we are able to achieve cost optimizations that we are glad to transfer to our customers, so that you can get the best salon furniture at lower prices. 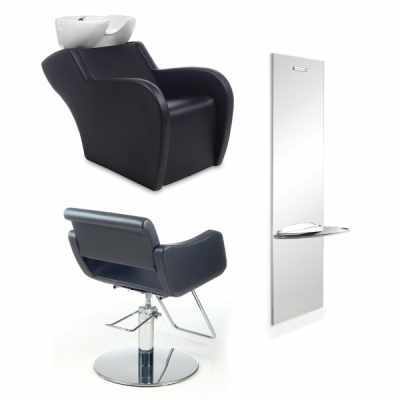 Our Packages include a selection of styling chairs, shampoo units and styling stations. You may also include a reception desk and retail displays. 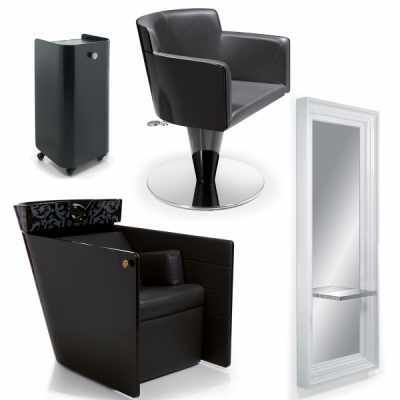 Our Salon Furniture Packages are designed to meet the specific needs of the salon professional and built in Italy with the highest quality materials for long lasting performance. Get the best deal and equip your entire salon with Salon Equipment Packages by Gamma & Bross.